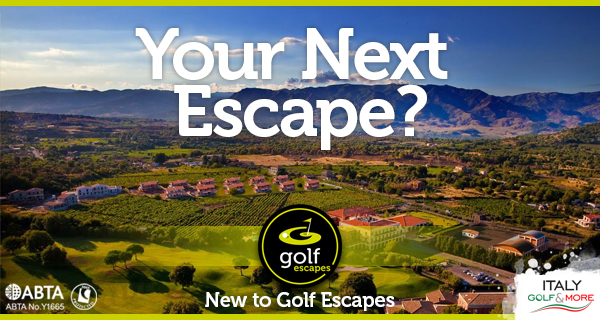 Why have we chosen to partner with Golf Escapes? Flexible - any duration holiday, mix and match hotels and courses, car or transfer - you choose! The team has over 60 years experience in travel and 40 years in golf travel between us - which means you receive the best golf holiday advice in the business. There is no premium rate on the call and no call waiting. Out of hours we have an answering machine. We're also open on Saturdays. They offer an emergency contact for while you are away - either to one of our resort representatives or to one of our UK staff, so that whatever time you ring, someone will be there to help. We are proud that this service is rarely required. Book with safety - your monies are safe when you book with us. 'ATOL' means 'Air Travel Organiser's Licence'. ATOLs are granted by the Civil Aviation Authority (CAA), and are a legal requirement for firms selling air travel. ATOLs protect you from losing your money or being stranded abroad when firms cease trading. Before any firm gets an ATOL, it has to lodge guarantees with the CAA; if it goes out of business, the CAA then arranges refunds for people who are unable to travel and pay for people abroad to finish their holidays and fly home. This protection is included in the price of any holiday booked with an ATOL-holder. Our prices include accommodation, car hire, and also golf (often free!) where indicated. Green fees are listed separately - enabling you to price your own tailor made package, although in some instances free golf is included in the package. We're flexible - any duration holiday, mix and match hotels and courses, with or without flights, arrivals any day of the week, cars or transfers - you choose! Our accommodations have all been visited and chosen by us based on location, suitability and of course, value for money. The star ratings are official ratings, or in the case of self-catering properties where official categories are not given, the rating is our opinion of what the grading should be. Our car hire for four golfers would be either an Estate Car or a five-seat minivan, e.g. Peugeot Partner or Renault Kangoo. These cars are perfect for foursomes as they have huge boots for clubs and luggage. Experience tells us that after arriving at your destination airport, you do not like spending half an hour contorting your body to squeeze under two suitcases and three set of clubs to get in the car! Two golfers would have a 5-door hatchback car, e.g. Fiat Punto or Renault Clio; comfortably big enough to fit clubs and luggage inside. Our car hire always includes insurance, 2 named drivers (sometimes more), and local taxes and fees. There may be an optional insurance excess waiver or full tank of petrol to pay for; this will be advised at the time of booking. We can upgrade your cars for small supplements too. Of course, you might not want, or need, a car; if not, we can organise taxi, minibus or coach transfers to and from the hotel or golf courses. The reason why you came to us! Because we play the courses ourselves, we can recommend and advise you on your choice. We help you to find the best value and the best course for you or your group - whether professional or beginner; there is always a choice for a range of abilities. Your tee times will be booked at the time of booking confirmation, so no waiting, no disappointments. Our green fees are heavily discounted, and much lower than you would receive direct from the courses. We have negotiated superb deals with all of our properties and golf courses, enabling us to offer you discounted rates for groups of 8 and over. Please call or email us with your group's requirements and we will quote you the best prices for your party.